Order online today. Just click the ‘This membership is a gift’ box and we will mail your gift to the selected recipient (you or the gift recipient). If it is a renewal of a previous membership, our system will match it to the correct members. A limited number of staff can print memberships, if a printed membership card is needed, please call the Visitors Center at 920-434-7841 and press #4 to speak with our Guest Services staff. Ask to see if a staff member will be available to print the membership card when you plan on coming in. 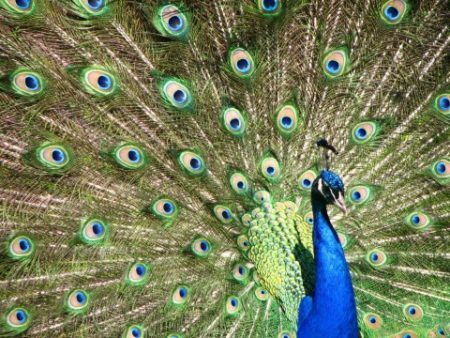 A NEW Zoo Membership is a great value and a very smart investment! You get a full year’s worth of admission, plus a host of other benefits like discounts and passes to special events. 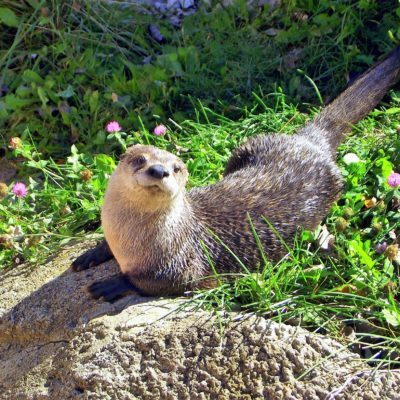 Best of all, zoo membership provides you with endless opportunities to see and learn more about the animals who call the NEW Zoo their home. If you are renewing your membership, use this link as well, our system will match up your current information with your previous membership. 15% discount on ALL Segway Tours by Glide NEW LLC including the Zoo, Door County and more. * Zoo Membership is not valid for entry to special events requiring an event ticket in (including Feast with a Beast, Brew at the Zoo, EggStravaganZoo, Zoo Boo, etc.) If an event is ‘free’ with regular zoo admission, your zoo membership will be valid for entry. Free membership ticket to Zoo Boo and EggStravaganZoo are available the day of the event at the membership booth outside the visitors center. **Gift memberships will be sent a membership packet and membership card to the selected recipient (gift giver or gift recipient). One Named Caregiver (like a babysitter, grandparent or older siblings!) can be linked to a membership. Linked Caregiver can visit the NEW Zoo when bringing the children of the primary member at no charge. Please Note: If visiting without the children, admission fees will be required. Additionally, linked caregivers do not receive the benefit of bringing free guests. Anyone attending the zoo with the Caregiver besides the children associated with the membership will be required to pay admission fees. Children must be accompanied by the named member(s) or named Caregiver to receive free admission. If not with the named member(s) or caregiver, admission fees will be required. Please note: you may visit the Zoo ANY TIME after making your online Membership purchase. Our online membership system updates your status immediately, so your membership can be accessed at the Visitors Center. Our mobile membership card system updates every 4 to 8 hours – so you should be able to access your mobile membership card through the eMembership Card App by MuseumAnywhere within 24 hours of purchase. 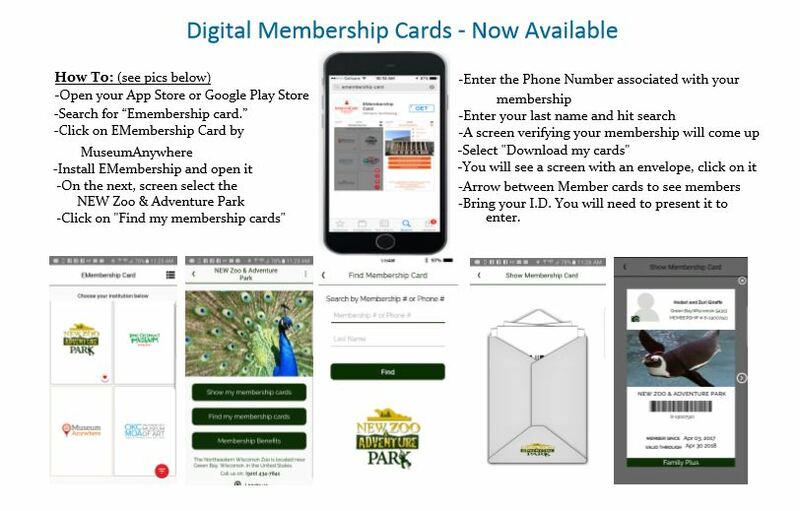 Click here for mobile membership card instructions. If a printed Zoo Membership Card is required, let us know by replying to your purchase confirmation with a request for printed card. At the NEW Zoo, in person, at the Visitor Center main entrance building. Just let a staff person know you would like to become a member! Or you can purchase by using our mail-in Membership form. Simply complete the form and follow the instructions to submit. Giving a NEW Zoo Membership as a gift, please include the Gift Giver Form in your mail-in order along with the membership form.